Spring or summer, those warm days and cool nights sure do make the great outdoors mighty inviting. However, this is also when all sorts of bugs and insects come alive; hungry and eager to take a huge chunk out of any part of your exposed skin. Whether you are deep in the mountains hiking a killer trail or just relaxing with your family in your backyard, there’s no escaping nature’s little vampires. And as if ruining a good day in the sun wasn’t enough, some of these pesky insects and bugs carry some of the deadliest viruses and diseases known to man. If you’ve been bitten or stung by a bug and are wondering whether you’ll make it, then please pardon me for rambling on. I mean, I’m just here yapping while an arachnid’s venom could be coursing through your veins and inching closer to your heart as we speak. But don’t worry; besides a doctor’s office, this is the single best place you could be for any insect bite related hogwash. Why? Because you just landed on the ultimate, in-depth guide to everything you ever need to know about bug bites. First Things First, What Are Bug Bites? The world is full of millions of species of insects that will either bite or sting if they come near you. High chances are that you will definitely come across a couple of those in your life. While some of the stings will be as a result of distress or being provoked such as with bees or wasps, others will literally be bites for food such as mosquitoes, ticks and fleas. So to answer the questions, bug bites are lacerations or small puncture wounds on your skin made by biting and stinging insects. But how exactly do you know you’ve been bitten or stung? Well, most people are immediately aware that they’ve been stung because they catch the perpetrator fleeing shortly after the crime. While you might be infuriated (and for good reason! dumb bugs), it’s in your best interest not to provoke the attacking insect. If you or your friends notice any of these symptoms, contact emergency services instantly if there’s a severe reaction. First aid instructions usually involve waiting for the medics, but it helps if you loosen any tight clothing and perform CPR on victim if breathing stops. 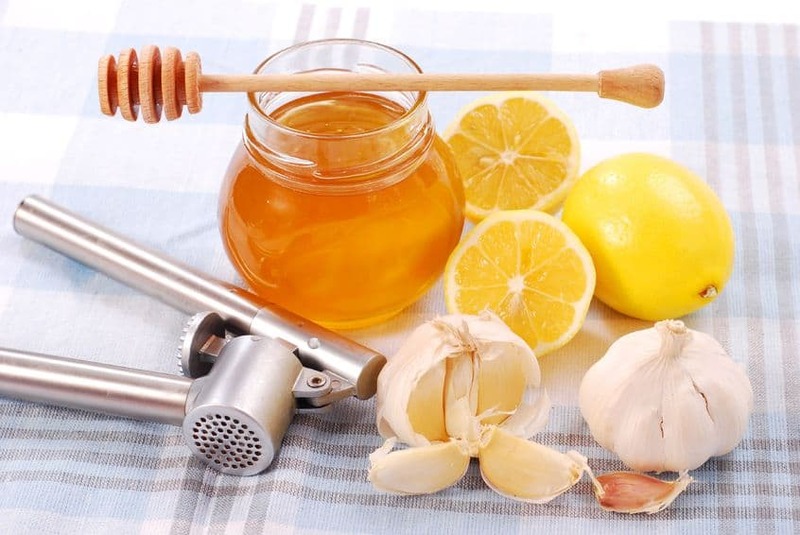 There are also some home remedies for harmless bug bites that we will look into later on. First; you have to know what actually bit or stung you in the first place. Many insects bite and sting, but very few of them do so intentionally. And although most of these bites are harmless and will only leave a small spot behind, the last thing you want to do is leave it to chance. That’s why I’ve categorized all the different types of bug bites according to their culprits. Have a look at the wide range of bites and see which one best fits your description. Typically found in brush or plant cover, ticks attach to animals and people and bite them in an effort to draw blood. Tick bites are usually large and conspicuous. While harmless, these bites and carry serious diseases such as Rocky Mountain or Lyme Disease. Ticks attach to warm, moist and hard to see areas such as the scalp, groin, armpits, skin folds and other hairy areas of your body. Fleas are not just a problem for pets anymore – they can make hosts of people too. The little buggers may be small and wingless, but they can jump for extremely long distances. Flea bites leave small, itchy pimples with blood spots that will break open if scratched. Known for one of the most painful bites from any insect, the Red Imported Fire Ant is mainly found in the Southern US. They are reddish brown, have a stinger at the rear and tend to build large mounds of dirt in sunny spots. Their bite is incredibly painful and will cause an itchy, raised area on your skin to erupt followed by an even more painful pus-filled blister. These are small mites that burrow deep into the skin and cause their host intense itching and discomfort. They usually spread by close contact with an infected person or by sharing sheets, towels, clothes and other personal items with a person infected with scabies. It may take weeks after scabies mites burrow into your skin before you experience any itching, rashes, blisters, and sores. The itching mostly occurs between fingers, elbows, armpits, waistline, buttocks and it gets worse during the night. Bedbugs are reddish brown insects that are less than a millimeter in size. They are mostly found in bedding, old furniture, and clutter around the house. Most of the times, the reaction to a bedbug bite is mild; usually in the form of small, itchy red bumps on the arms and legs. All the above insects carry some very painful stingers with a little venom to boot. Typical reactions to these stings include pain, swelling, redness, and numbness of the affected site. However, multiple stings could cause severe and fatal reactions in people who are allergic to the insects. We’ve all heard how these small, shiny, globular spiders treat their men after mating. So it’s no surprise that it’s the female species alone that bites humans. Most of these widows are found in Southern US, but they have managed to spread out through the entire US. A Black Widow’s bite is indicated by two small punctures followed by severe symptoms. These symptoms usually start about 20 minutes to an hour after the bite and include pain, cramps, spasms, tremors, abdominal pain, and even a rise in blood pressure. Fortunately for us, there are cures and remedies for all the different types of insects and bug bites out there. As bad as your bug bite might be, there is some light at the end of the tunnel. The majority of these bites are easy to treat right at home, especially if your reaction was mild. Sometimes the treatment is as easy as applying an ice pack to the inflamed area to reduce pain and swelling. However, other bites will require a trip to the pharmacists or even a doctor to combat the ill effects and possibly save your life. Let’s look at the wide range of bug bite cures available. and warm water should help relieve a few symptoms of the bite. If you are experiencing any itching, work the lather into your hands, spread it over the affected area and allow the soap lather to dry. Washing the affected bite with soap can help alleviate itchiness and prevent any risk of infection from the insect’s saliva or venom. We’ll get into some more home remedies later on. There are very few ailments on this planet that can’t be solved by a good ice pack. If you’re starting to swell up after an insect bite, it helps if you place a pack of frozen peas, steak, or just a cloth with ice on the swollen area. A few minutes of the ice treatment ought to bring down the swelling by reducing blood flow. Over the counter creams that have hydrocortisone or cortisone, such as Cortaid can really work wonders when it comes to reducing itching and inflammation. Fortunately, you can get a hydrocortisone cream from any pharmacy, chemist or drug store near you. If your reaction to the bug bite was very severe, then it’s best to have a doctor prescribe a stronger corticosteroid cream for you. These creams can soothe inflammation and cool any itching skin as a result of insect bites and stings. Antihistamines such as diphenhydramine or Benadryl can help control severe allergic reactions from bug bites such as swelling or rashes. But like all other drugs, you have to follow the instructions on the package to get the dose right. In cases where the victim may not be able to swallow oral antihistamines, there are alternatives such as OTC antihistamine cream and others that come in hypodermic needles for emergency administering. If you’ve ever been bitten by a Black Widow, Yellow Jacket or even poisonous snake, then you know that there are certain levels of pain that can’t be negotiated with. If your insect bite is causing you severe pain and discomfort, some OTC, anti-inflammatory, analgesic medicines (although I would not recommend taking them) such as aspirin, naproxen and ibuprofen can really help offer relief for your pain. Ah yes; Mother Nature’s very own be-all, end-all solution to pretty much every ailment. 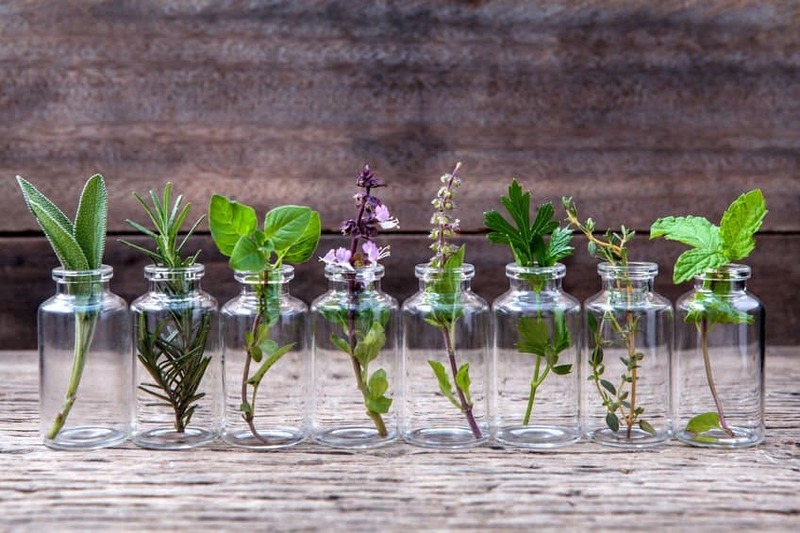 As vital as the name sounds, essential oils work magic for our bodies; both inside and out. You may already know a few esensh oils (a typo, but that’s what the cool kids are calling them), from popular applications such as in diffusers and air purifiers. But what you didn’t know is that essential oils such as lavender, tea tree and coconut oils are ripe with properties that help alleviate itching, swelling, pain, and overall inflammation. Especially tea tree oil has antibacterial properties that keeps infections from incessant scratching at bay. In this segment, I’ll start of by listing off some of the best essential oils for bug bites and then follow up with some great recipes and mixtures that you could make right at home. But first, what are the top essential oils and what makes them worthy of treating insect bites? There’s a good reason why pretty much every essential oil collector on the planet has a bottle or two of this stuff. Hands up for those who have tried Bulgarian Lavender, from the world’s best lavender plant? Lavender oil is quite the powerful substance and is an anti-inflammatory, analgesic, antiviral, bactericide, calming, nerving, cicatrizing sedative. Hehe, what does this all mean. In English, this basically means a lot of relief and help for stings and bites. Lavender does not really calm the skin itself, but rather works on the nerves in general to ease pain and inflammation. Tea tree oil is another staple that any collector worth their salt should always have at hand. This wonder-oil acts as an antibacterial, anti-fungal, antimicrobial, antiseptic, cicatrizant, immunostimulant, expectorant, fungicide stimulant, sudorific and insecticide. Without all the fancy jargon, tea tree oil basically cleans out any puncture or scratch wounds effectively while helping alleviate stinging, itching, scratching and inflammation. 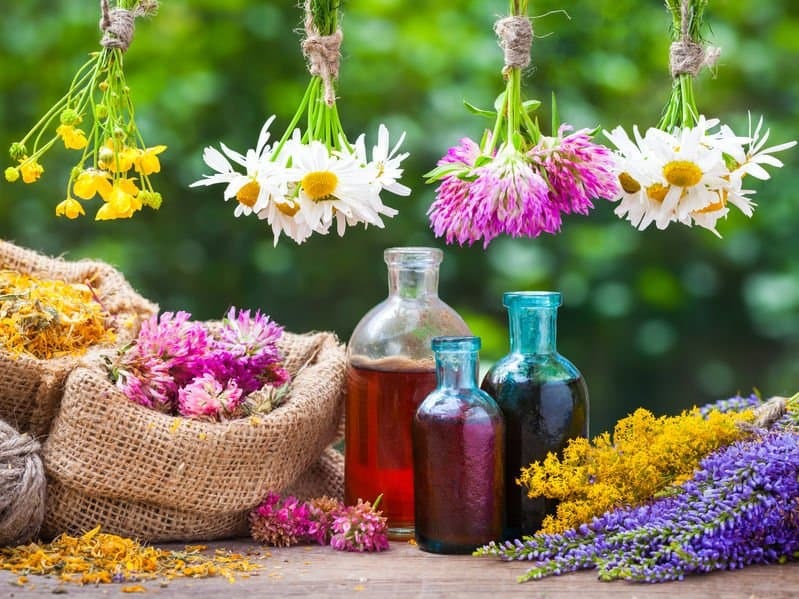 Widely known as one of the most highly effective remedies for bug and insect bites, chamomile oil has antiseptic, anti-inflammatory, analgesic, bactericidal, carminative, febrifuge, vulnerary and sedative compounds that can address the immediate pain and inflammation of the bite. This includes protecting you from incessant itching as well as any other topical infections. Also known as lemon balm, Melissa oil has a calming, relaxing and uplifting effect on the body. This is all thanks to its antibacterial, antiviral, carminative, emmenagogue, nervine, sedative, tonic and antispasmodic. properties that make it quite the effective treatment for scrapes, cuts, stings and bites. Boasting of antiseptic, anti-inflammatory, antiviral antispasmodic, cicatrizant, diuretic, insecticide, and detoxifying abilities, eucalyptus oil is without question one of the best essential oils on earth for bugs and insect bites. Eucalyptus contains outstanding qualities that protect the affected area from becoming infected. Did you know that it’s the incessant itching of a bug bite that makes it so difficult for them to heal? Even while deep asleep, this inflammation can cause you to keep on scratching. Applying basil essential oils reduces the urge to scratch; making it one heck of a helpful night time remedy. 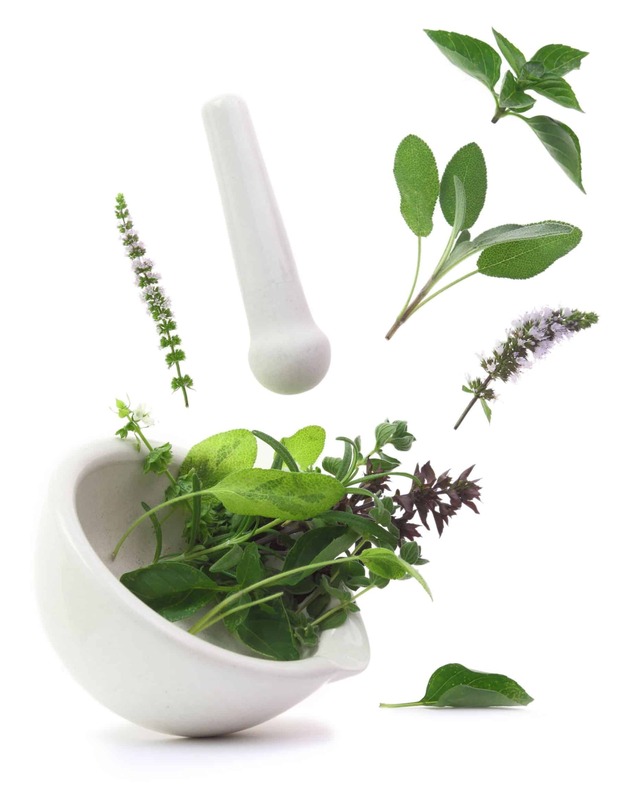 Basil also has anti-inflammatory properties that soothe hotspots and relax irritated skin. Thyme oils actively assist in keeping bite wounds, cuts, sores and lesions super clean and infection free. By killing off any harmful bacteria, thyme essential oils ensure that there’s no chance of developing an infection. 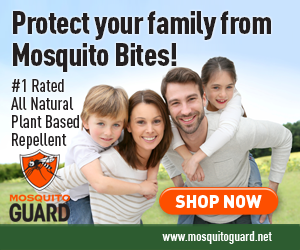 The active ingredient in this highly popular oil is thymol; which is able to defend against pathogens and other infections, while at the same time stimulating healing activities after damage from bug bites. Did you know that thyme oil is one of the best oils for sinus infections. 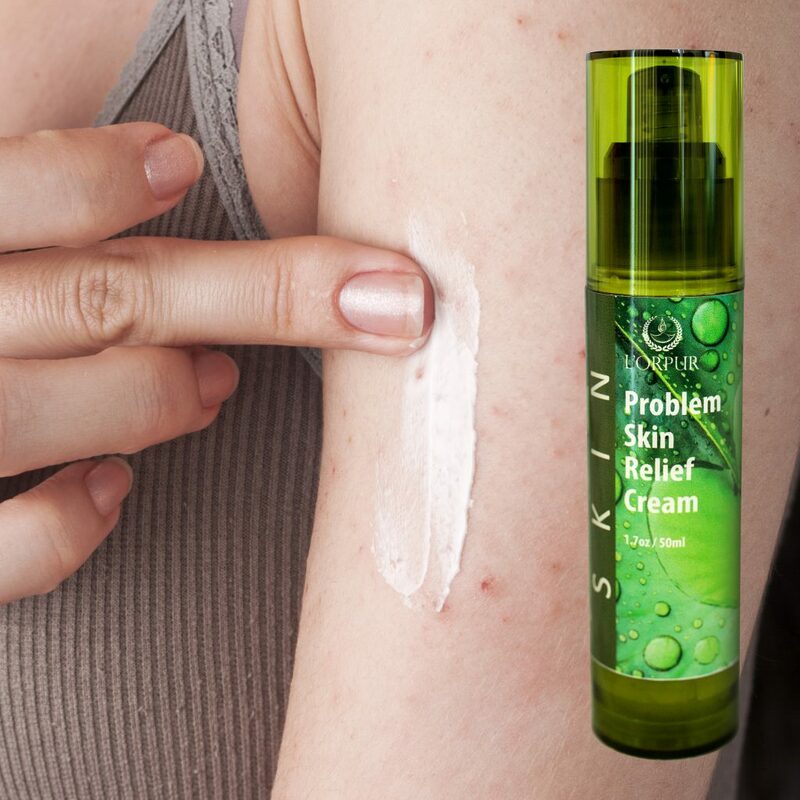 The L’orpur Problem Skin Relief Natural Cream is designed to treat and prevent recurrence of difficult skin conditions including itching, skin rashes, bug bites, etc. It has unmatched anti-bacterial and healing properties and provides instant and long-lasting relief for swelling, inflammation, rashes, redness, itchiness, and flare-ups. If you have some the above essential oils at home and have been bitten or stung by an insect, it really helps if you can identify the insect for more accurate treatment. I’ve compiled a list of popular recipes catered for specific types of bug bites. Shall we begin? When dealing with a sting from any of the above insects, the first step should always be to remove the stinger from your skin if your attacker left it behind. To avoid squeezing the venom sac any further, make sure you use a pair of tweezers to remove the stinger. Once removed, proceed to make any of the following recipes. Apply frequently until the inflation and swelling subsides. Mix well in a non-reactive bowl and dab on affected area until it heals. Combine the eucalyptus essential oil with vinegar in a non-reactive bowl and mix thoroughly. Soak your cotton ball in and dab it on the affected area regularly. Add the above essential oils to the apple cider vinegar (ACV) and apply the mixture to the affected area until it clears up. Using this remedy in conjunction with an insect repellent will help keep some insects at bay. As promised, we’ll be having a look at some remedies that you can make right in the comfort of your home. Apart from the aforementioned essential oil remedies, here are a few clever remedies that you can use in the event of an insect bite. If you do not mind rolling around in a bit of stickiness, then you’ll love doing an impression of Winnie the Pooh. Honey is known for its anti-inflammatory properties that make itching a whole lot less tempting. Apply regular honey on the affected area until inflammation comes down. Here’s another popular technique that is used for more than one remedy. Mix equal parts water and milk and dab on affected area with a thin cloth. Milk neutralizes any acids or venom and prevents infections. If you look at your tube of toothpaste, chances are that the paste has a peppermint flavor. When used in the affected area, this menthol ingredient creates a cooling sensation that reduces swelling and prevent itching. Much like a desiccant, tea bags draw fluid out of the stung or bitten area to reduce itching and keep inflammation at bay. They are great for stings which cause pus to build up since they help clean the stuff and prevent infection. Did you know that one remedy for uncomfortable bug bites might just be sitting pretty in your kitchen cupboard? Thanks to certain anti-irritant compounds, oatmeal works wonders when it comes to relieving itching and swelling. You know what they say; prevention is always better than cure. In this case, this saying is literally the truth. I’ve seen people neglect a tiny bite only for it to escalate to a massive lesion in a matter of hours. Once you’re bitten, don’t take anything for granted or assume it’s going to be okay. But wouldn’t it be better if you could avoid getting bitten altogether? Well, now you can thanks to the following tips. Imagine landing upon a buffet on an empty stomach, wouldn’t you rip the hell out of that food? Same goes for you; if you don’t want to be stung or bitten, then cover up your skin. Not only does this prevent blood-sucking insects from being attracted to your supple flesh, but it also minimizes the surface of contact for other harmful bugs. If you’re outdoors, wear a long sleeved, loose shirt with pants and socks. If you don’t want to bother yourself with extra layers of clothing, then nothing works better than applying insect repellents. 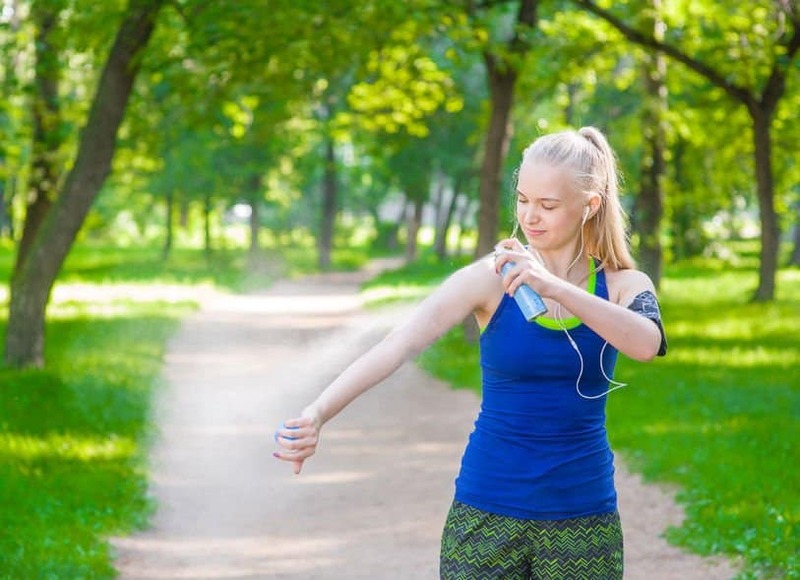 Whether you use DEET or one of our all natural essential oil insect repellents, the end result is the same; keeping insects and bugs as far away from your skin as possible. Research shows that even the slightest breeze makes it very difficult for most flying insects to fly. So if you have a well-ventilated home with a constant breeze, it will be impossible even for mosquitoes to find their host. Did you know that most biting insects actually use CO2 to identify other animals and food sources? So when your heart rate is high or your diet is made up of spicy foods, you are bound to have more carbon dioxide in your body. Try to relax and lose weight to remain invisible to most of these bugs. If it’s not already a part of your diet, garlic could really help keep insects and bugs at bay. People in bug filled territories should consider eating a few cloves of garlic every day. As you sweat, the garlic odor sticks to sweat and helps repel certain insects, especially mosquitoes. Perhaps this is where the Vampire myth about garlic came from. Always play nice – When you come across some bees, wasps or other bugs, always play nice and never swat at them. This will only infuriate them and cause them to send war hormones all over the place. Instead, slowly and calmly move away from their flight path or hive. Keep off the grass – As peaceful and calm as a patch of grass may look, chances are that there are thousands of insects that call the outdoors home. Ticks are huge fans of shrubs and grass, especially tall grass. Try to use mowed paths or ensure your lawn is finely mowed. Know basic first aid – If you live in areas with deadly insects, it helps if you know basic forms of first aid to help treat bites and stings. This will help you take action and possibly save a life before the medics get there. There you have it; everything you need to know about bug bites all in one convenient place. My part is done, the rest is all up to you. As we’ve seen, it’s pretty much all but impossible to avoid bugs and insect bites. However, you can take all precautionary measures and have some remedies at hand in case the worst comes to the worst. With the knowledge on how to proceed after a bug bite, you can at least preserve both your life, limb, and sanity too. Absolutely brilliant information Olivia. Thank you so much for sharing and giving us so much of your knowledge. Here in Australia it’s winter, no bugs to speak of at this time of year, however summer is coming and I always have a bottle of lavender, tea tree and eucalyptus on hand for myself and my little dog. She has been stung on her paw pads a couple of times and gone into slight shock with shaking and foaming at the mouth. Lavender oil works so quickly on her and reduces her pain fast. Yes sure, I am myself going through the harsh Canberra winter with sub-zero temperatures at the moment.